When was the last time you went to a coffee shop, one of those really good local ones with a hip, attractive barrista in tight pants who casually flirts with the customers? Chances are, there was something pleasant, quiet, and innocuous playing in the background, just distinct enough to periodically catch your attention, but not loud enough to distract you from a newspaper or friendly conversation. 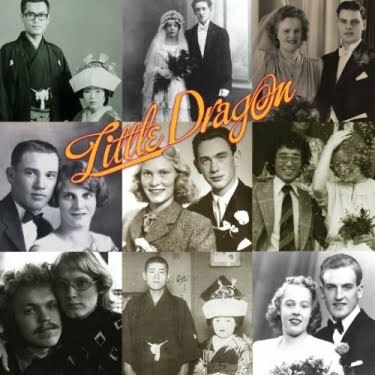 In this vein, we have Little Dragon’s Ritual Union, an electronic album that would be right at home with some off-hand Sade. None of the songs on Ritual Union are constricting, but rather have a causal, open, airy, and lite feel to them. Shuffle a Dream has a nice enough cadence, ambling on without building to any artificial climax. Please Turn picks ups a little momentum that recalls Kenna’s first record. While most of the first half fairly innocuous in this way, there are a couple of stinkers. Little Man has a reduced, DIY sound that sounds not quite done finished, which is odd, as it’s the second song on the album. The highlights are certainly on the back end of the album. A highlight for me was Precious, which manages to be skittish and unpredictable. When I Go Out devolves, successfully, into a very, very chill electro-ambient jam session. Generally, this is not very exciting music, though “excitement” need not be the only criteria by which we judge music. Not everything has to appeal to some sort of emotion or a primitive desire to move. Sometimes, there is a time for some nice sonic wallpaper; something that doesn’t necessarily call attention to itself. With that musical purpose, you could do a lot worse than Little Dragon’s Ritual Union when curling up with a cup of Columbian and a nice, thick book.